I got this recipe when I lived in Anchorage, Alaska. It's made from Alaskan halibut. 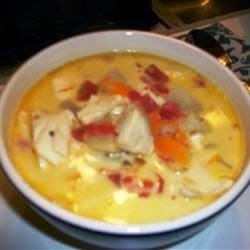 The shredded carrots and Cheddar cheese in this chowder make it distinctive.